Early Montana welcomes Joshua Marceau as its featured “First Saturday” artist on Saturday, July 7, from 10 a.m.-4 p.m. Marceau is the owner, artist, and sole craftsman at Native American Silversmith. The jewelry he creates is handmade, and each piece has its own unique character. He handcrafts his art using the highest quality alloys of sterling silver and he prefers to work with genuine gemstones. Turquoise is a favorite, and he travels to meet with mine owners in the Southwest to buy the rough gemstones directly from the people who own the mines and collect the minerals from the earth. He cuts and polishes most of his own gemstones from turquoise, jade, lapis, coral, etc. beforehand crafting the custom settings out of sterling silver. 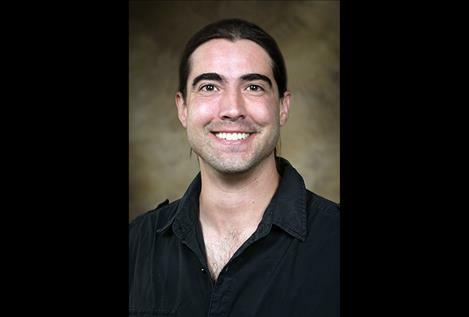 Joshua Marceau, raised on the Flathead Indian Reservation in Montana, is currently a post-doctoral research scientist at the University of Arkansas. He earned his Ph.D. at the University of Montana, specializing in the development of vaccines. Joshua earned his B.S. in microbiology at Pennsylvania State University in 2009 and got his start at a tribal college in Montana. While studying for his associate’s degree in General Science at Salish Kootenai College, in Pablo, Joshua had the opportunity to work with tribal instructors who stressed the interrelationships between science and art. Joshua reflects back on his early fascination with chemistry and silversmithing, and attributes how his tribal college experience provided a strong jumping board for his future academic endeavors in education, science and art. He handcrafts his silver settings using the highest quality and purist alloys of sterling silver. One such alloy is known as Argentium silver which is sustainable, recycled and has achieved certification as meeting the highest ethical, social and environmental standards established by the Responsible Jewelry Council’s member certification system. Joshua will demonstrate his skills during the day and also have a booth selling his beautiful pieces at the third annual Cultural Arts Fair located on the museum ground’s Nature Trail. Nancy Vaughan will be on hand selling her delicious Indian Tacos and fry bread on Saturday as well. Come and enjoy a visit with this talented artist at the museum located at 69316 Highway 93, about 6 miles south of Ronan. The museum and unique gift shop is open from 9 a.m.-5 p.m. Mondays-Saturdays. Call 1406-644-3435 for information or to schedule a group tour.